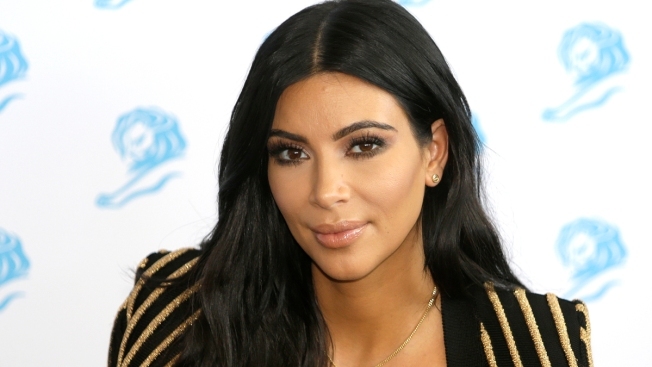 Kim Kardashian is "officially a soccer mom!" The E! reality star took to Twitter Friday to share photos of North West playing on a field with her dad Kanye West, and the proud mama couldn't hold back her excitement. "My little goalie," Kim, who is currently pregnant with her second child, gushed on social media. "Last pic of my baller baby! She's doing so good I'm just so proud!" Little Nori is seen kicking the ball around with her father wearing an all-black outfit that was sure to have gotten a stamp of approval from her fashionista parents. The world's most talked about couple recently celebrated their daughter's second birthday at Disneyland with several members of their family, including Kendall and Kylie Jenner. E! News previously reported that the large group began the day exploring the theme park and stopped for a special lunch in Nori's honor complete with cake and balloons. The birthday girl was seen being carried by her mama and wearing Minnie Mouse ears (and a huge smile) all throughout her big bash. Aunt Kourtney Kardashian attended with her little ones and also took to Instagram to share, "She's two! Happy birthday to my first little angel niece Nori!!!" Original Post: Kim Kardashian Calls Herself a ''Soccer Mom,'' Shares Photos of North West Playing Her New Favorite Sport!